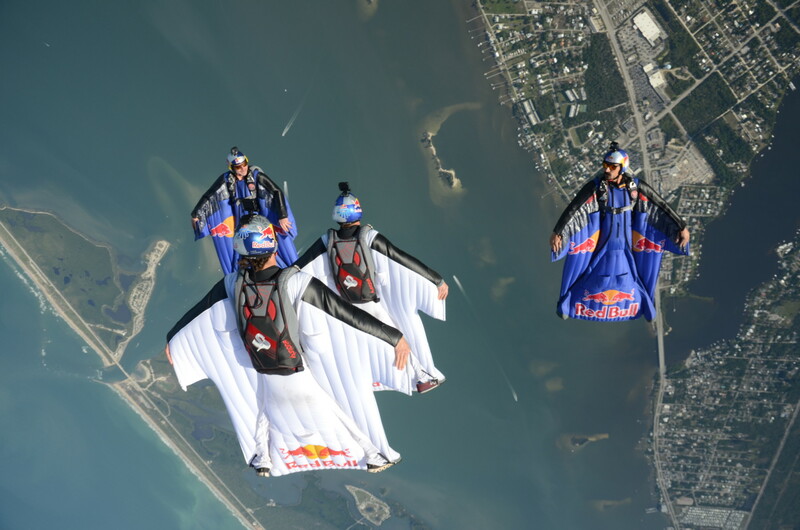 Perfect studied wingsuit-formations performed from 3000 meters above the ground will increase the heartbeat of the crowd. Those precise flight manoeuvres will be smoke escorted to receive an amazing demonstration of human flight. Due to professional training and meticulous preparations spectacular stunts in low altitude can be performed while respecting the highest standards of safety. 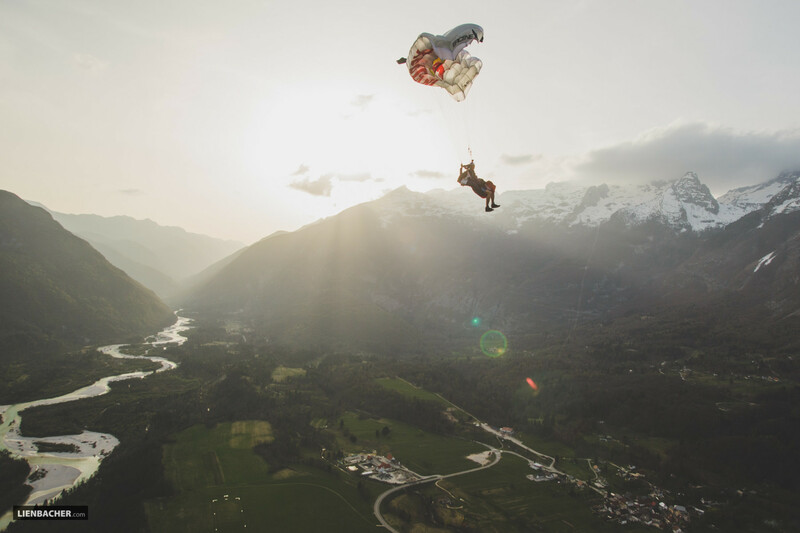 Free fall as well as wing suit flying is brought to the spectators as close as possible. Navigate to our Video-Section to see our latest actions on our YouTube Channel. 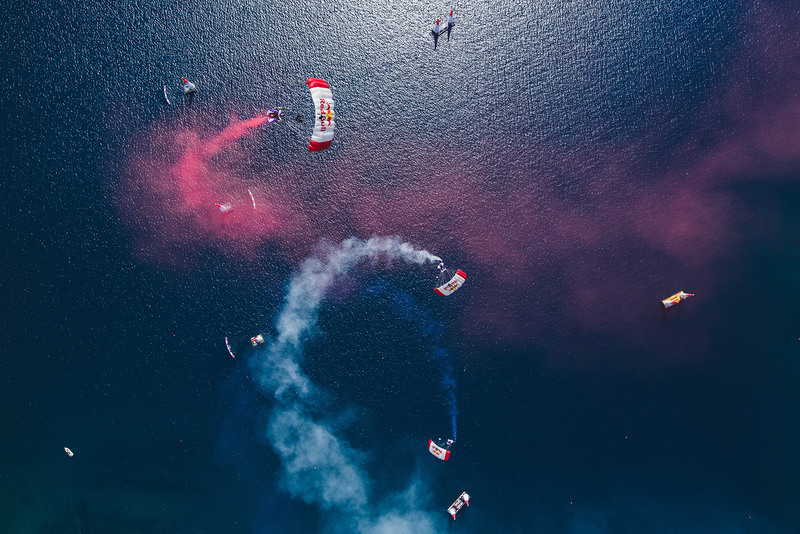 The Red Bull Skydive Team – consisting of four exceptionally gifted aerial acrobats -show which possibilities the playground of the third dimension offers. This show builds up the extra rush for sports events, concerts, business parties or product presentations. 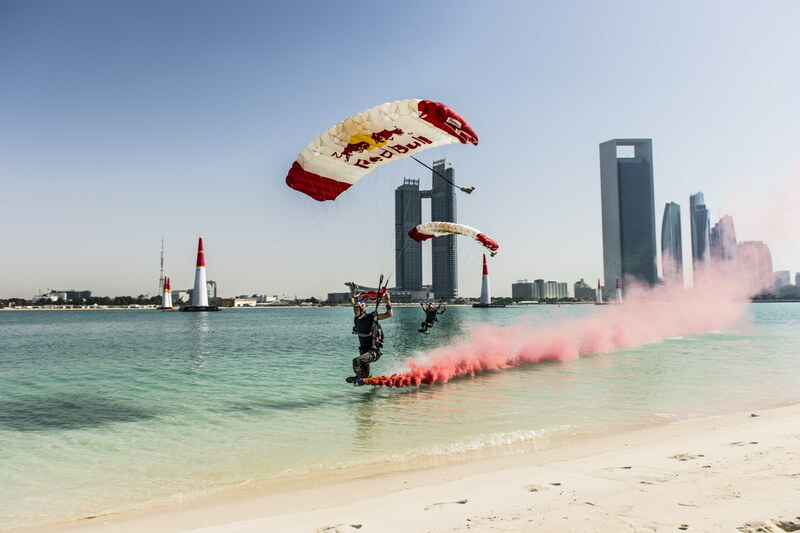 Abu Dhabi was the first stop of the Red Bull Airrace season in 2016 and for us the first Event in the sun this year. Click below for our blog posts with videos and great images! 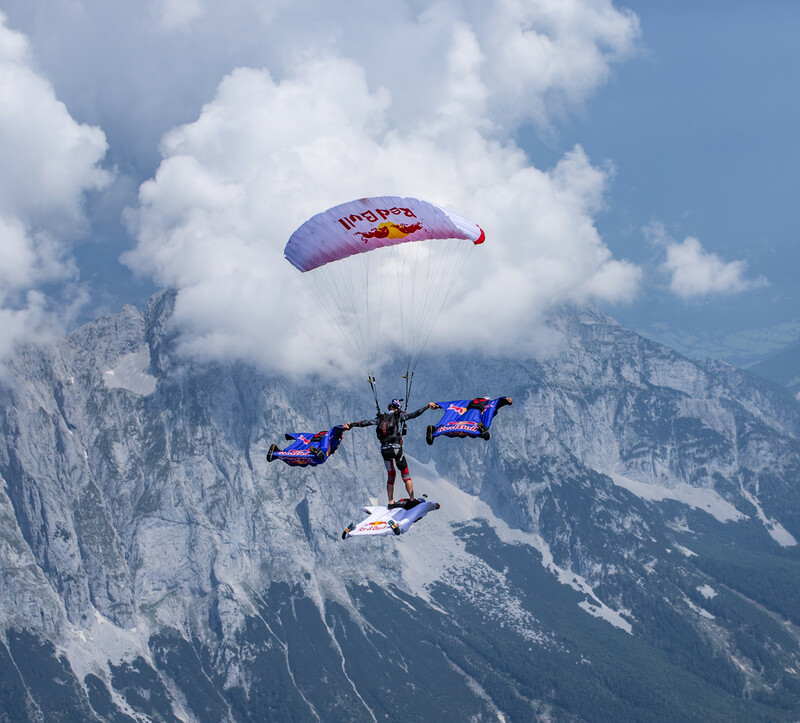 The Red Bull Skydive Team – consisting of four exceptionally gifted aerial acrobats -show which possibilities the playground of the third dimension offers. This show builds up the extra rush for sports events, concerts, business parties or product presentations. No matter if day or night, over land or water – with breath taking light and smoke effects this action is a perfect highlight for special occasions. 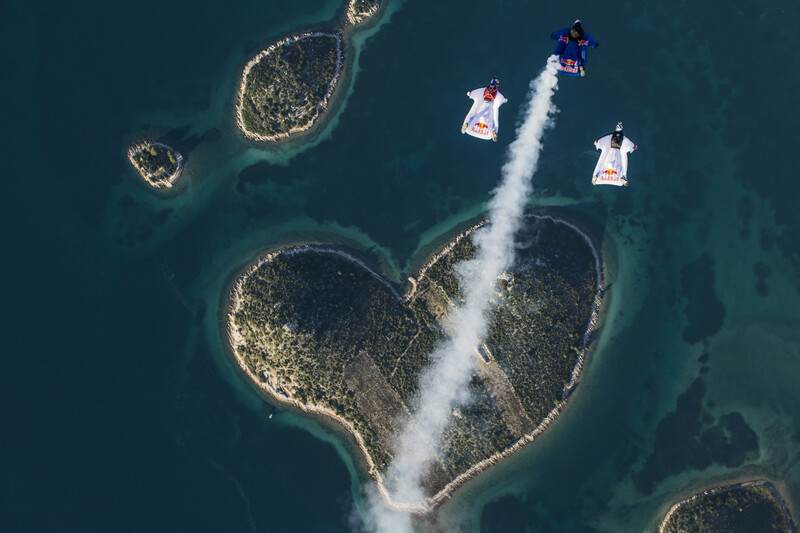 Perfect studied wingsuit-formations performed from 3000 meters above the ground will increase the heartbeat of the crowd. Those precise flight manoeuvres will be smoke escorted to receive an amazing demonstration of human flight. Due to professional training and meticulous preparations spectacular stunts in low altitude can be performed while respecting the highest standards of safety. Free fall as well as wing suit flying is brought to the spectators as close as possible.